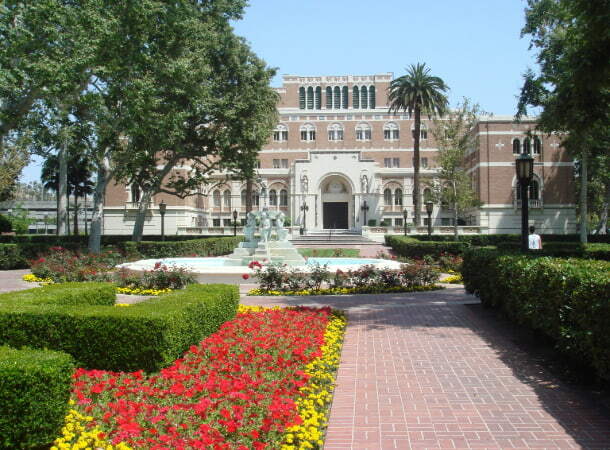 Are you taking a group of students to tour the University of Southern California? Let National Charter Bus handle the travel plans to the campus, around Los Angeles, or anywhere else on the itinerary! Our team of reservation specialists is available 24/7 to pair you with the perfect bus or custom-assembled fleet for your needs. With the transportation already taken care of, your group will have more time to explore Trojan Nation! The buses in our network include a range of sizes and amenities, meaning we can find the perfect ride for your group. Shuttle a small group across the city in a minibus or transport a large group of students across the state in a fleet of full-sized coaches. No matter the size of your class, we’ll make sure everyone arrives comfortably and on-time. You can upgrade your ride with amenities like WiFi, power outlets, air conditioning, reclining seats, televisions with DVD players, a PA system, overhead storage, and more. For long-distance travels, you can even reserve a full-sized bus with an on-board restroom to help minimize the number of pit stops along the way. Located just a few miles from downtown LA, the University of Southern California is the state’s oldest private research university and is home to the world’s most powerful quantum computer. Notable alumni include Will Ferrell, Neil Armstrong, George Lucas, and Laura Dern, as well as numerous star athletes and political figures. With roughly 44,000 students in attendance, the university offers a variety of different majors, the most popular being business, management, marketing, engineering, and more. While many students attend USC for this wide range of academic fields, many more are drawn to the vibrant social lifestyles the school encourages. For example, USC offers discounted parking rates for carpoolers as a part of its pledge of sustainability. The school also provides the Trojan Mobile Safety App with a safety feature for any time students and faculty have to walk somewhere alone. 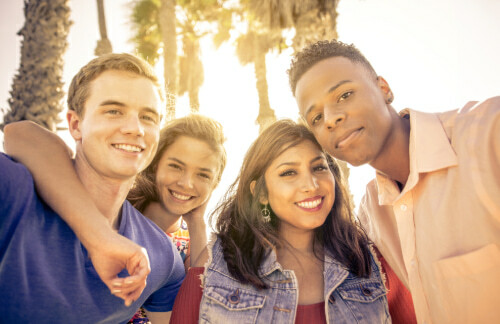 University housing is guaranteed for registered freshmen and sophomores, and while living on campus is not required, many students enjoy being close to the many events, programs, and activities the residential buildings host. If you’re ready to stretch your legs and see the campus first-hand, USC offers tours for groups of up to 70 people on Mondays through Fridays. During the 45-minute walking tour of the University Park Campus, your student guide will provide an insider’s perspective on student life, academics, history, and more. Tour availability is determined on a first-come, first-serve basis, so the USC admissions office recommends you call and plan your tour ahead of time. Priority reservations are given to students in ninth grade or above, but the school does have tour programs for younger visitors. Keep in mind that the frequency of group tours is reduced throughout February, March, and April due to other campus visit programs, and tours are not typically given on Saturdays or Sundays. The university does, however, offer materials for visitors to embark on a self-guided tour around campus. While USC boasts ample parking, on-campus parking decks can be expensive for short-term visits and finding enough space to accommodate a large tour group can be difficult. You can avoid these problems altogether when you book private bus transportation through National Charter Bus. Your experienced driver can designate a drop-off location near the tour’s starting point at the admission center, park in a cheaper lot off-campus, and pick your group up at the tour’s end. Let a professional handle the parking logistics before you even arrive to campus, so you can focus on making the most of your campus tour. If your aspiring academics are still on the fence and need more information, the University of Southern California offers even more opportunities for students to explore what it means to be a Trojan. In late November, the university opens its doors to high school juniors, seniors in their fall semester, and their families for the annual Discover USC Open House. This day-long event includes admission and financial aid information sessions, academic information sessions, campus walking tours, student panels, and much more. Prospective students will have the chance to meet faculty and current students as they showcase all the programs the school has to offer, from the Viterbi Department of Computer Science robotics demonstration to performances by students in the Kaufman School of Dance. Just like with your original campus tour, National Charter Bus can make sure that your students and their families arrive to campus safely for the open house. No need to coordinate carpools or blindly navigate the USC bus system quite yet. We’ll drop you off and pick you up whenever you need, right on time. Ready to reserve your ride? There’s no better day than today to streamline your trip to the University of Southern California. 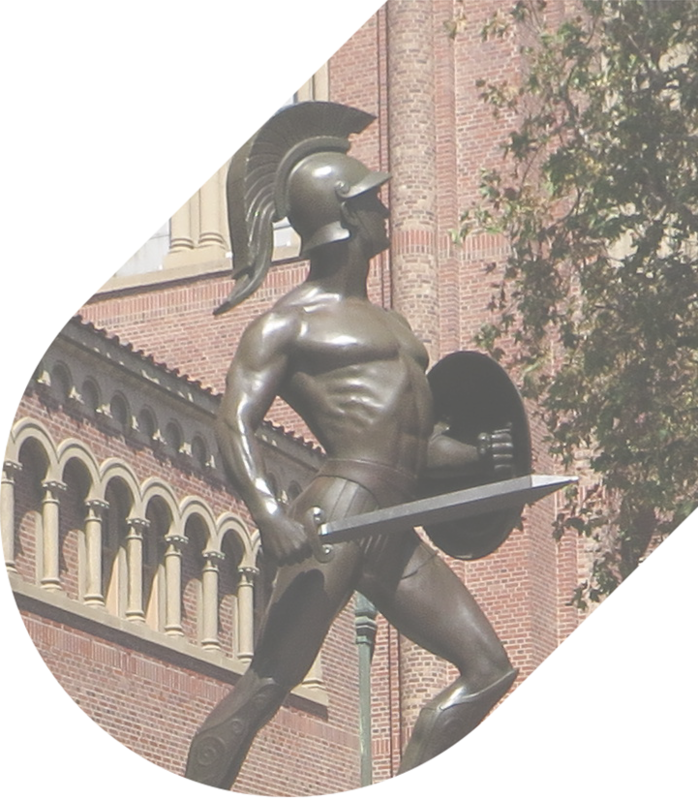 You can trust National Charter Bus to find the perfect ride for your travels in and around USC. Whether you’re coming into the LA area from a nearby city like San Jose or from across state lines, our transportation experts will connect your group to a bus that best suits your size, itinerary, and needs. Call at 323-201-2618 today for a free, no-obligation quote!